TestFlight is a free platform that allows you to distribute beta and internal iOS apps to team members over the air. Developers can use this facility for testing purpose. You can share the app which is developed to clients across the world. With Testflight SDK implemented we can now see how the testers have tested the app and we can acquire their metrics which helps in the testing process. Are you having a tough time downloading the beta versions of your app from your mail or dropbox and syncing it using iTunes? Our developers will take care of it with the help of TestFlight. Managing your app and its versions just got easier. You dont have to keep a folder of the early beta versions of app for later use. Testflight keep records of all the versions of your beta app and you can easily access it with just a mouse click. You can add more than one device to Testflight and get the app downloaded to all the devices added in Testflight. 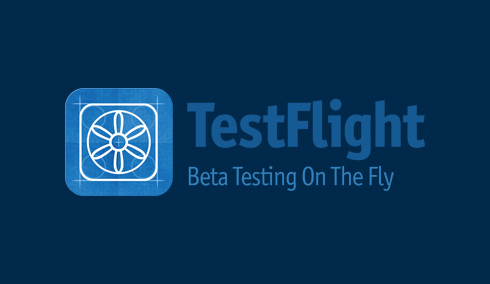 Sharing your beta app with your friends or colleagues is just too easy with TestFlight. You can report your bugs or write feedback/comment on any particular version on the go. You can invite anyone to download or test the app. In distribution summary page you can see all your team members, their devices, the current version of the app in each of their device. One of the most unique items about the TestFlight SDK is that data is reported live, so there is no waiting for important crash report data or session tracking on users using the application with the TestFlight SDK implemented. When you implement the TestFlight SDK into your build you will immediately activate Session tracking, Crash Reporting, Live analytic tracking. Our experts know about each and every aspect of Testflight and can set up your app and all you need in the Testflight in few moments. We are very well versed with Testflight and its services. Our developers are keen to fix the bugs reported and push a new version in the next moment. We have a panel of developers who keep track of the bugs reported and comments and make sure its all fixed in the very next build. Our team sets up the app in the TestFlight for you by collecting all the required information from you. We can add team members either as a developer or tester and invite them to sign up Testflight and join our team. If a member is already active in TestFlight, then he can accept and join our application group. We can add any number of team members and their devices to get the latest version of the app downloaded in their device. When a new device is added in Testflight, we get notified via email. Our team will add the new device to the iOS development program portal and include it in the Ad-Hoc provisioning profile and update the profile in TestFlight so that the latest build is available to the new device added. Before pushing a new version to TestFlight we make sure the TestFlight SDK is integrated in the build, to keep track of the bugs and checkpoints. We will set up the app according to its version, build a new ipa file and upload it to TestFlight and invite a group or all the team members. We will handle the app permissions/distributions when a new build is uploaded. If you want any team member not to have any version of the app, we can handle it by not inviting that member to that particular version of the app. We will configure checkpoints to track when a user performs certain tasks in our application. This can be useful for making sure our testers are hitting all parts of the application, as well as tracking which testers are being thorough. We will implement remote logging which allows you to see all the logs created by the users remotely. Once sessions are collected from the app, you will be able to access the remote logs within the build’s sessions or crash pages. Mac distributions run on hardwares produced by Apple Inc itself, therefore there is a perfect synchronism between the functioning of hardware and software. Here we have developers with plenty of experience in developing applications for different Mac OS/OS X distributions. DIRAC is a powerful tool for C/C++ developers that integrates seamlessly with all modern APIs and audio applications. It allows to change the speed and pitch of music independently without sacrificing quality. Quintet helps you to integrate Dirac3 into your system for any project that needs pitch shifting.